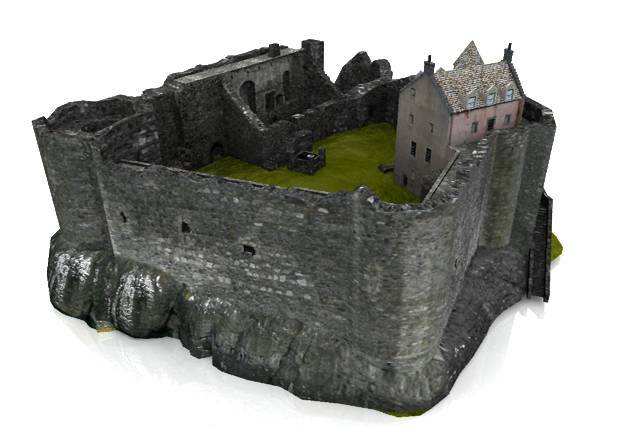 I recently found a series of very nice Scottish castle models in Sketchup format. I immediately wondered how to import them into Vue. Sketchup has the great advantage of being used by a very large community that produces dozens of models and shares them in the 3D Warehouse. I thus found a series of Scottish castles. The next problem was to import them into Vue. There is no native support for Sketchup format. And Sketchup Make, the free version of the software only exports in... Sketchup format (very helpful). There are a number of plugins, but it is difficult to find one that is both free and works with Sketchup 2015. I finally found the LIPID OBJ exporter that works very well. All you have to do is to load a scene in Sketchup and export it. The plugin generates texture maps in a separate directory. Scottish castles look good in Vue!